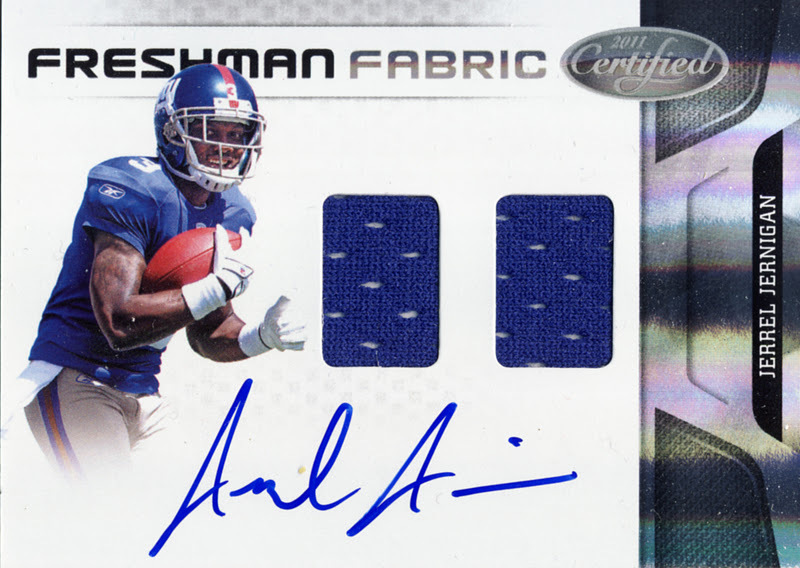 Freshman Fabrics, Hometown Heroes and Fabric of the Game means 2011 Panini Certified Football cards are here. 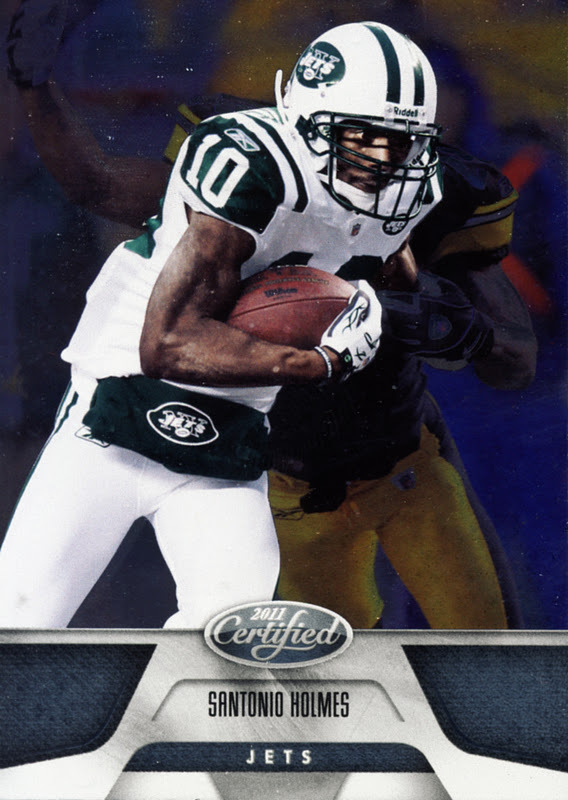 Once again, the Rookies Class is front and center so here is another opportunity to pull that player you might not have yet. 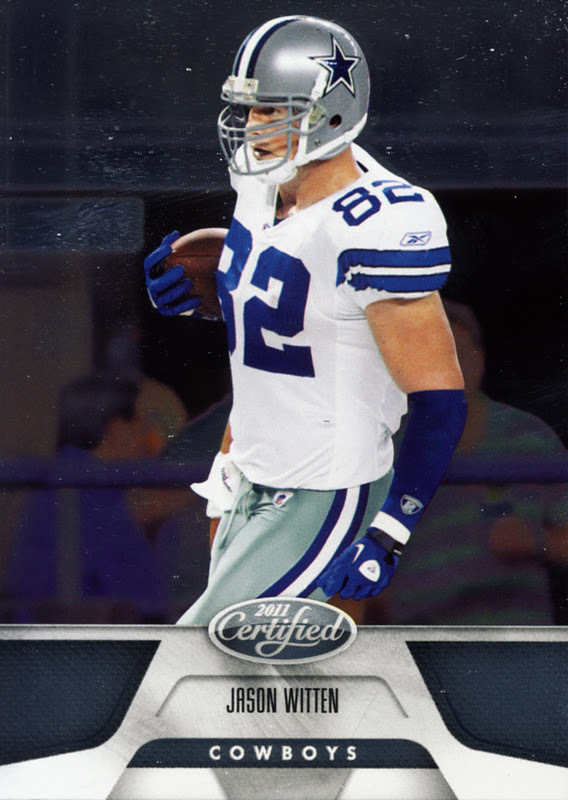 Certified Football falls into our premium cards category. 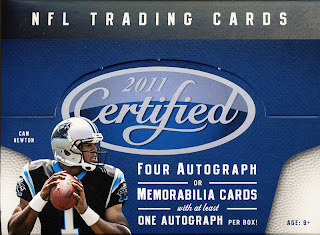 Each box contains 10 – 5 card packs, with 4 Autograph or Memorabilia cards with at least 1 Autograph card per box. 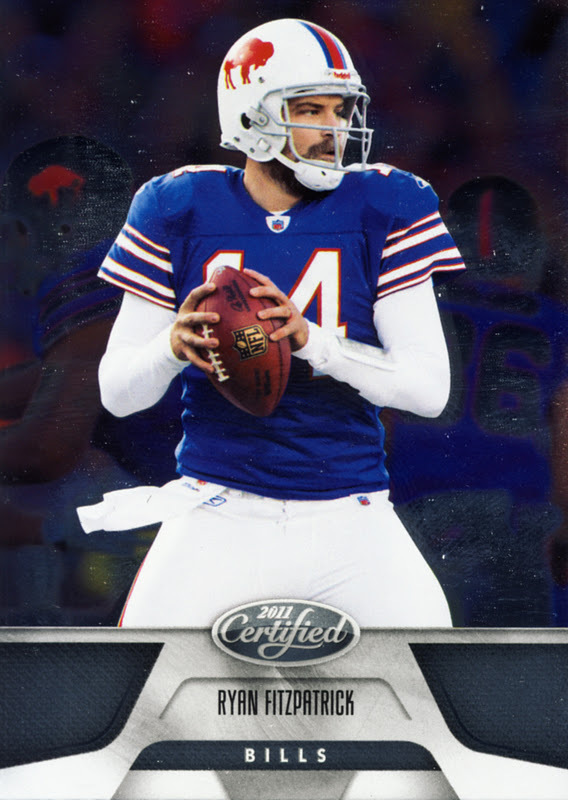 Base cards work well here. 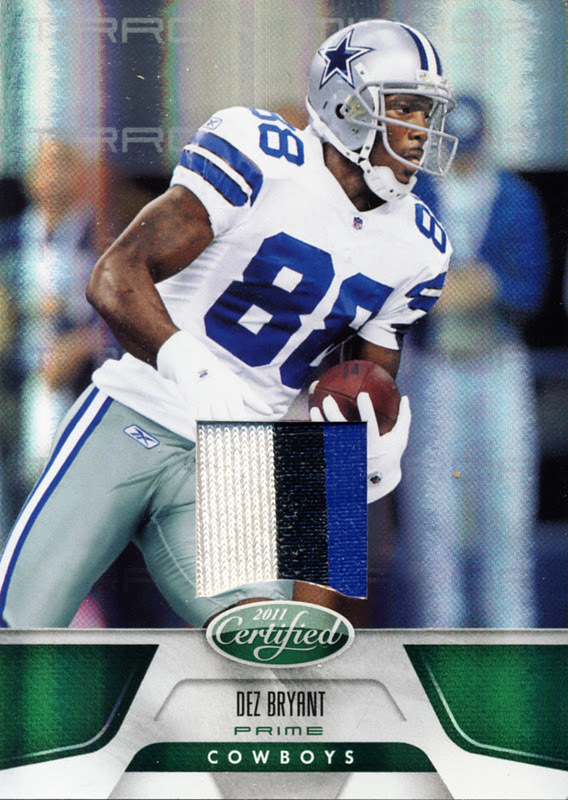 Hit design here is classic to the Certified line of cards with the Fabric of the Game Team Die Cut cards making the best use of space. 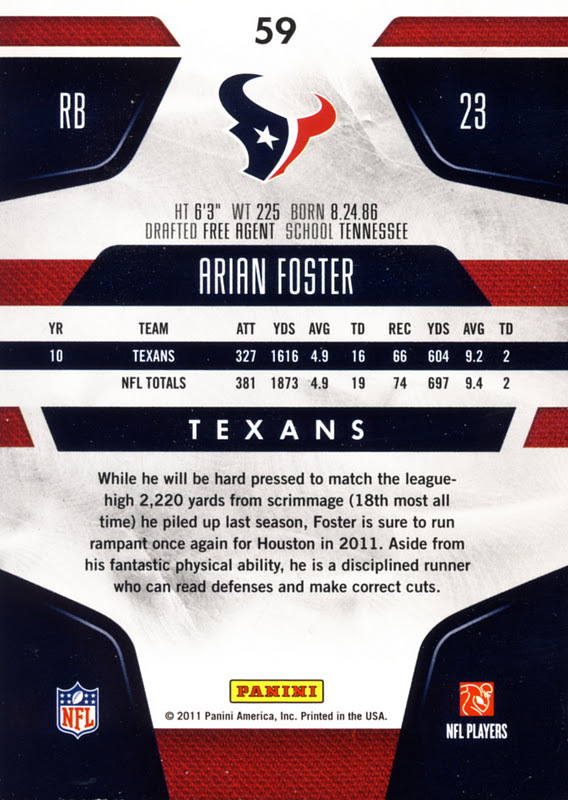 The balance here speaks of a Rookie class checklist with 150 veteran players base cards and 100 rookie cards. 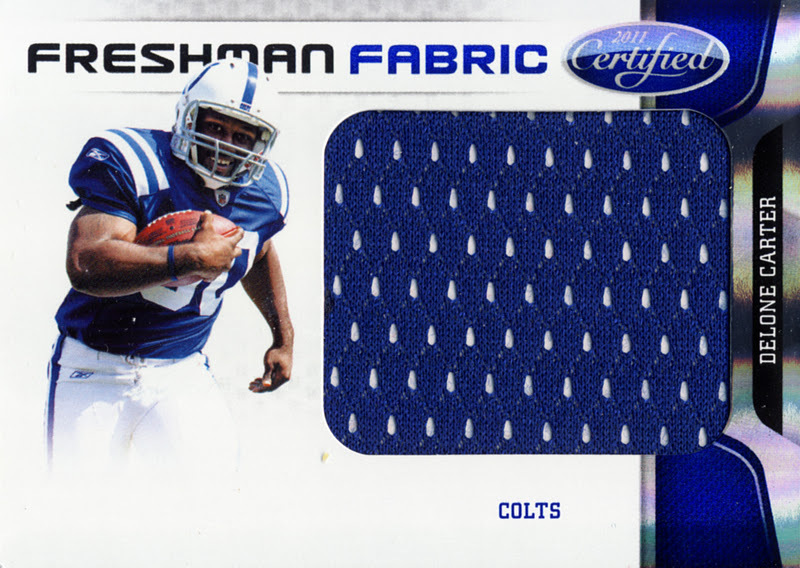 While small and low numbered, the hits like Hometown Heroes and Immortals are really nice. 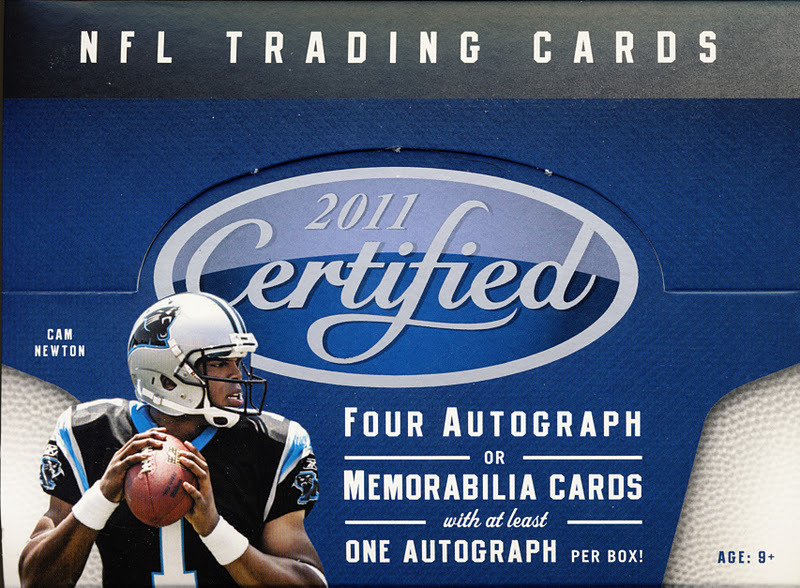 Again, this is a case of what you are collecting. 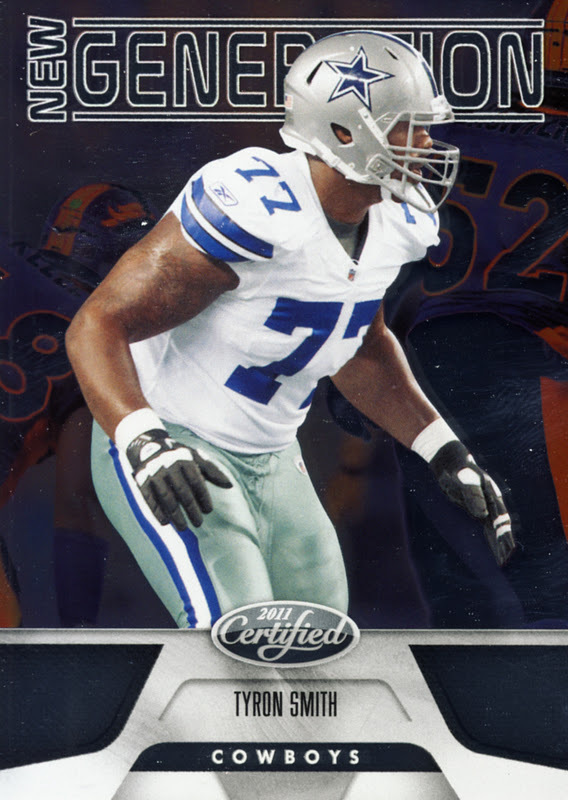 If you are concentrating on the Rookie Class, all is good. 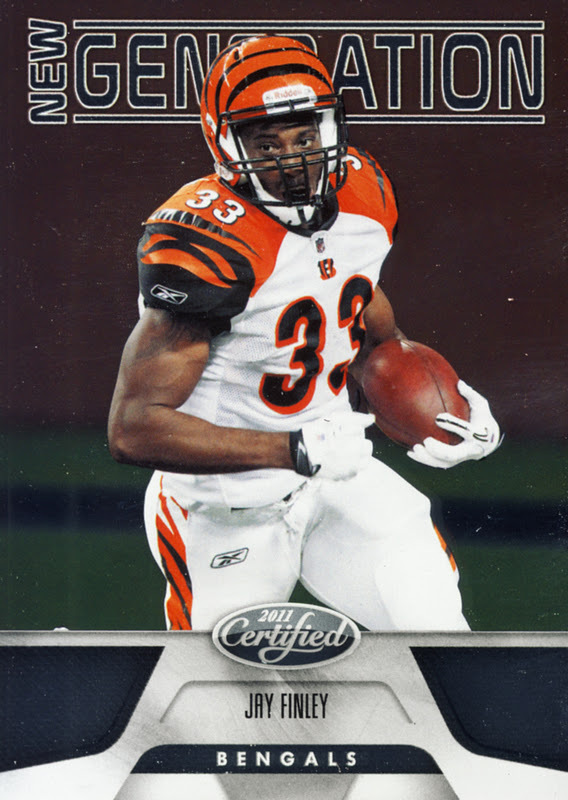 If you happen to pull one of the veteran hits you will be very satisfied. 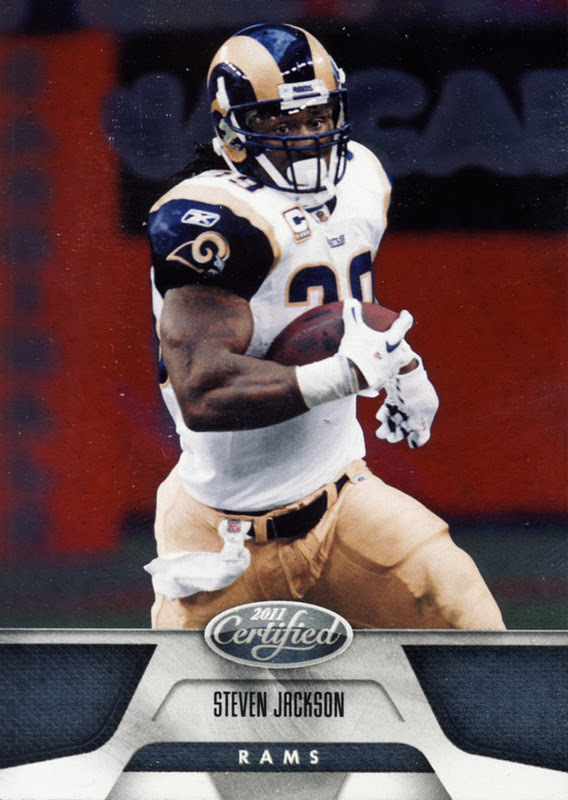 Most will be hunting for hits with Certified Football and will be looking to spread the risk by purchasing this in volume. 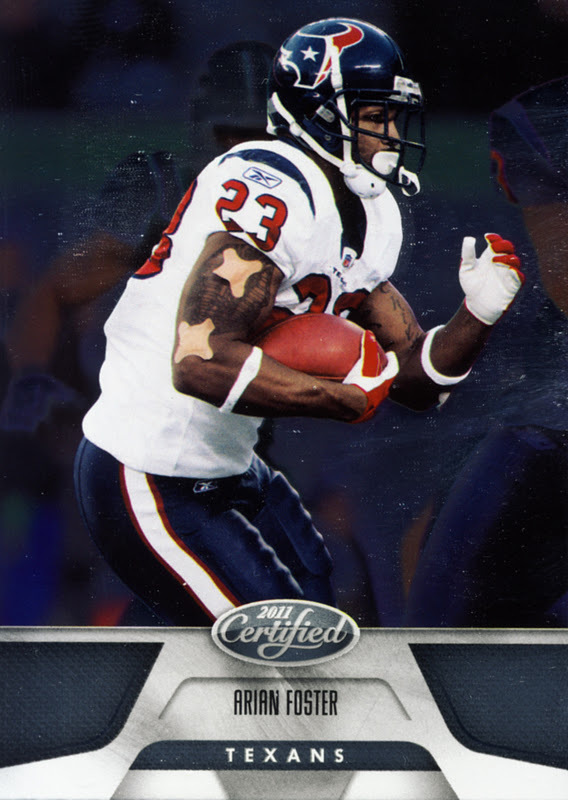 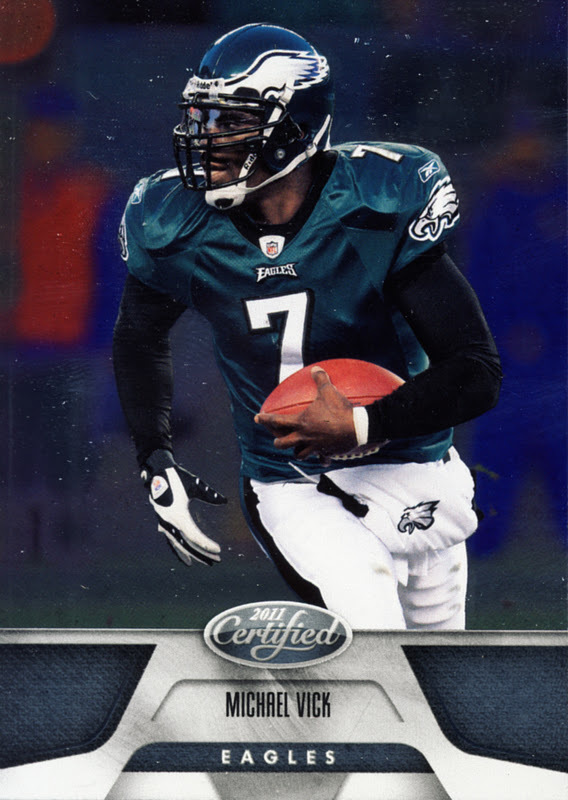 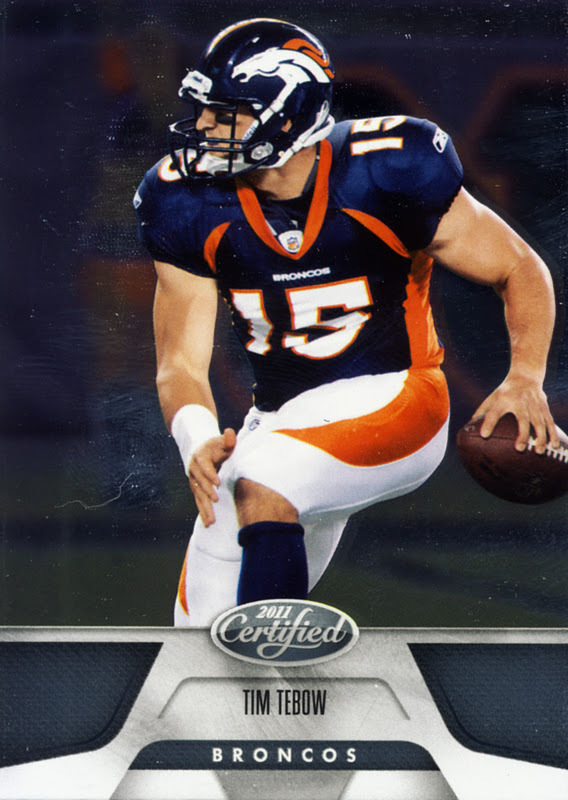 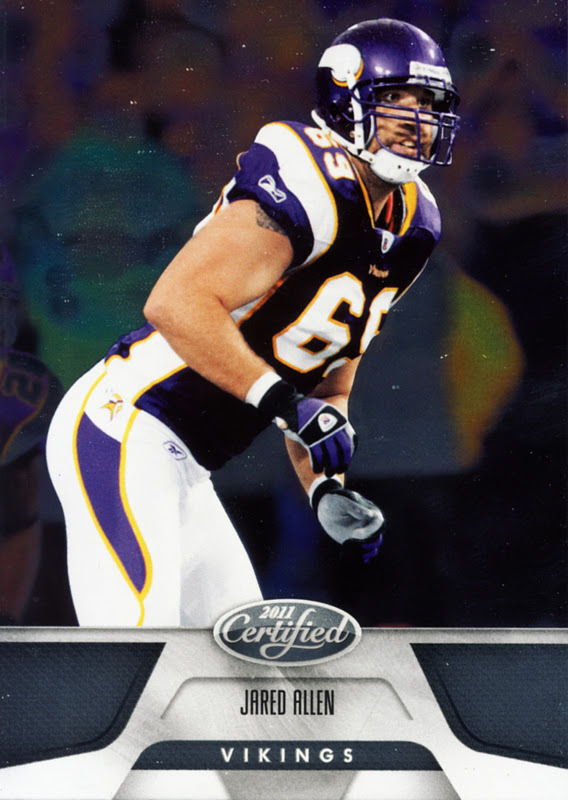 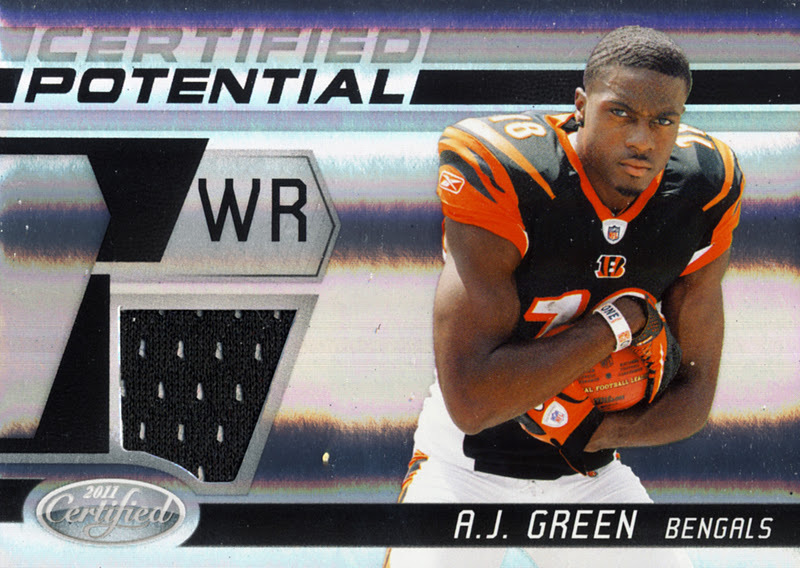 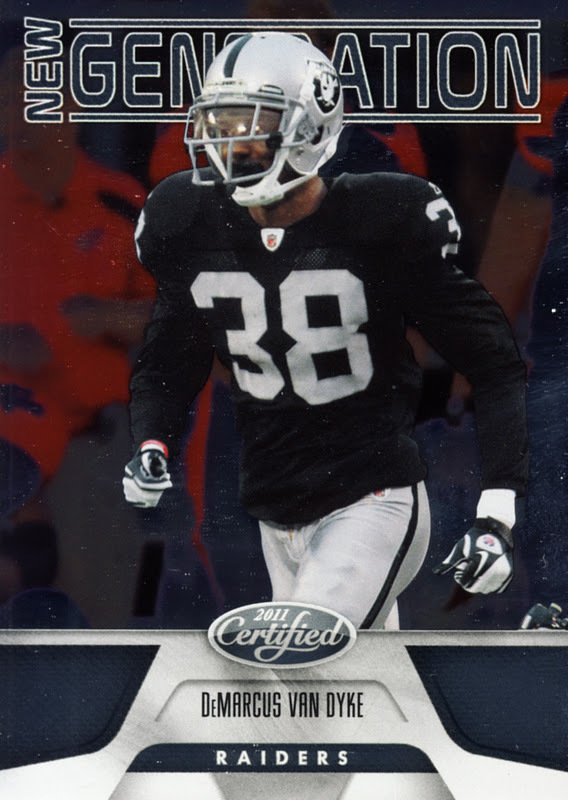 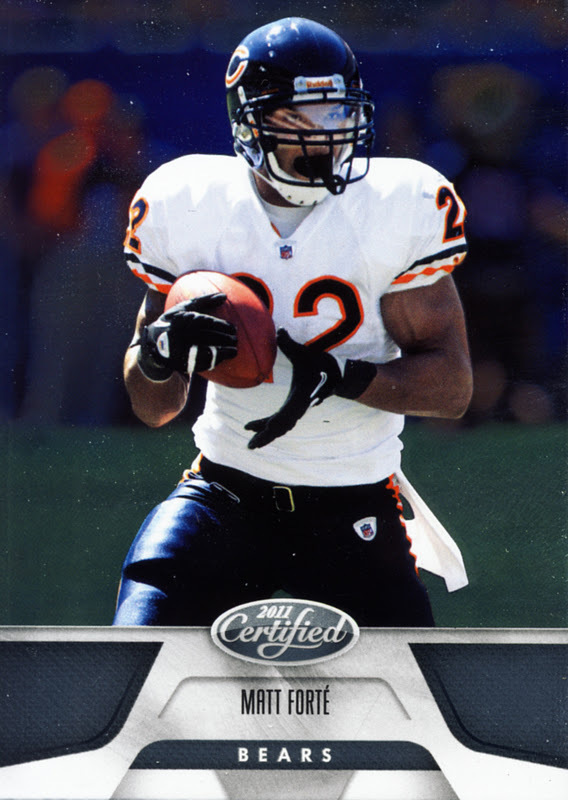 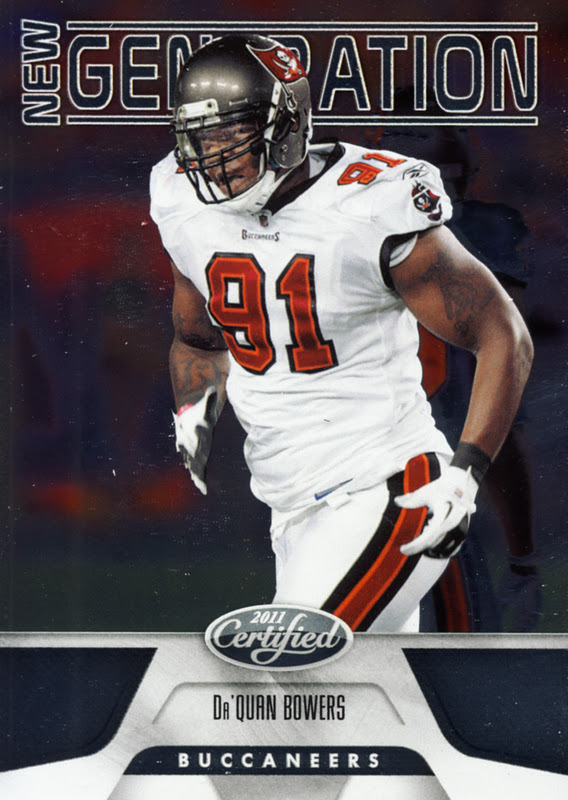 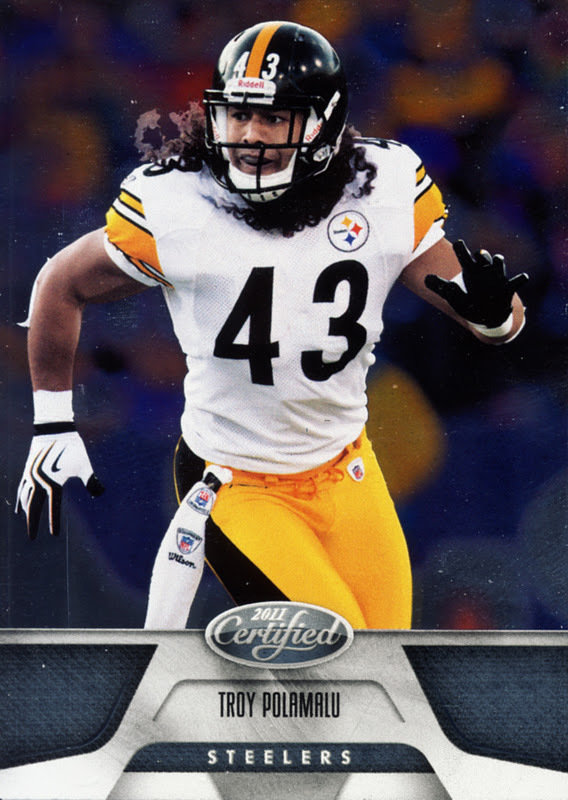 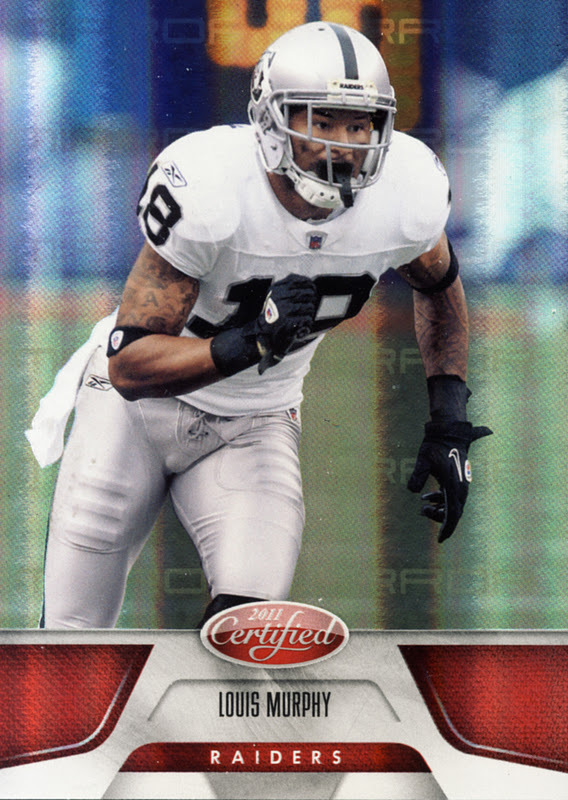 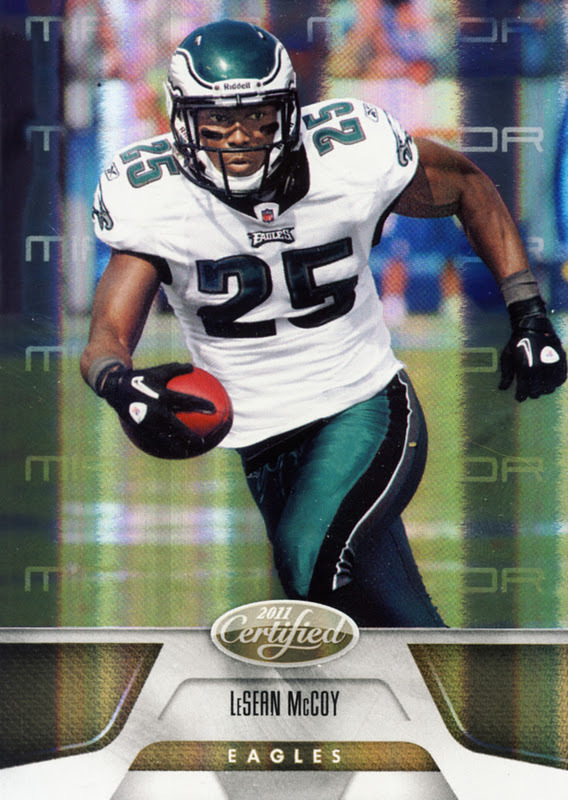 2011 Panini Certified Football continues the great offerings for Rookie Class collectors.